You can study your chosen subjects in different ways, depending on whether you prefer a more academic or a more hands-on approach. To help you decide which option is best for you, we have explained the different qualifications below. You can also find expert guidance at our Open Events and at your interview, where we will talk through all options with you to help you find the courses best suited to your future plans. A level courses are a natural choice for you if you have enjoyed studying and have been successful on your GCSE courses. Vocational courses are work-related courses. They are often developed in partnership with industry representatives to make sure you are well prepared to meet the requirements of employers in your future career. 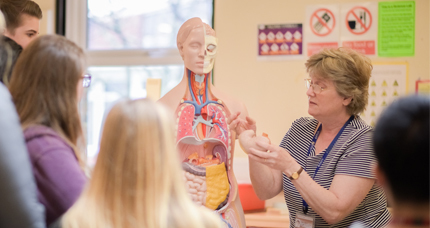 If you choose a vocational course, you will take a more practical approach to learning, whilst still covering important theory on the subject. 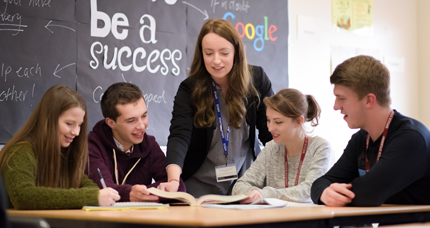 Our Sixth Form Vocational courses are offered at different levels depending upon your GCSE results, and are available in a range of subject areas. You may want to take a GCSE subject alongside an A level or a Vocational course to complement your studies, or improve existing grades. Designed for 16-19 year old’s who may need to achieve a qualification in order to progress to a Level 2 course or employment. Functional Skills can be taken alongside level 1 and 2 courses. Apprenticeships allow you to train on the job and be paid as an employee whilst also studying for a nationally recognised vocational qualification – so you earn while you learn. 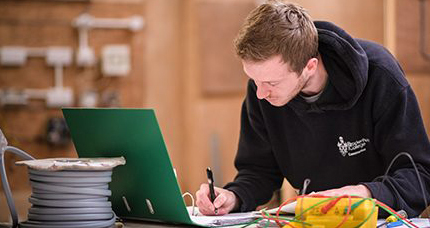 Whether you are aiming for an apprenticeship, deciding on your next step, or you wish to enter further education, this one-year course will develop your core abilities.